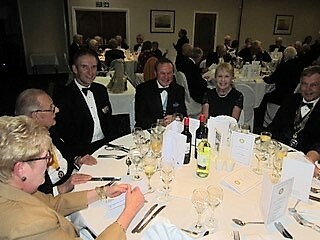 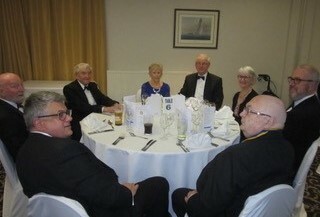 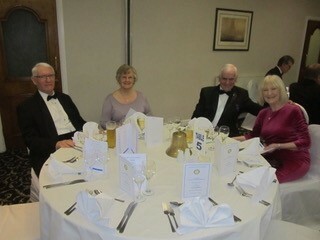 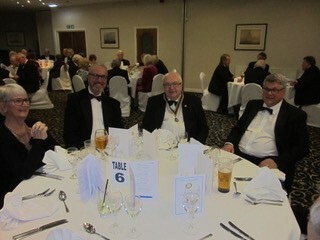 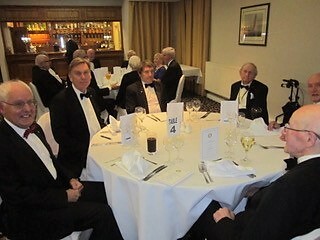 District Governor Len Burns and his wife Valerie joined us and we had another very enjoyable evening at the Sea Hotel, with good food and service. 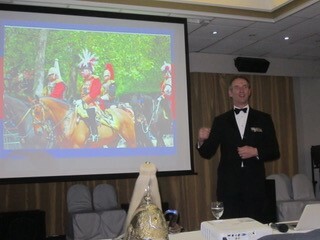 Major Tate gave a very interesting presentation on what it was like for a trooper before and during a ceremonial parade, with an insight into all the preparation required. 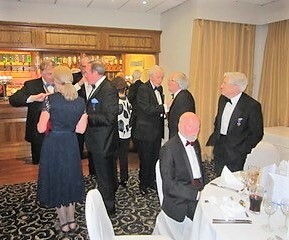 He also explained about the recruitment and training process. 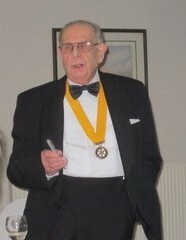 He had spent all his career in the Household Cavalry, enlisting as a trooper and retiring as a commissioned officer.